Editor’s note: Tim Chang is a managing director at Mayfield Fund. Follow Tim on Twitter @timechange. He’s hosting a workshop on gamification at the Mayfield Fund offices on June 6 and has reserved 10 spots for TechCrunch readers — more details at the end of this post. Gamification is expanding beyond the initial verticals of media and fitness: The next target verticals are education, eCommerce, local retail (example: Belly), and financial services. Gamification is not just for consumer end users, but also corporate employees: Corporations can not only gamify their products and services for consumers and end users, but also leverage game mechanics to make work more fun, measurable, productive, and rewarding for internal employees. In fact, the internal enterprise-facing gamification market may turn out to be just as large (if not larger) than the consumer-facing opportunity, given the budgets and SW/SaaS spending involved with worker productivity. Companies that let customers embrace gamification in baby steps will win: Rather than slamming existing and new users into a fully gamified experience out of the gate, companies may want to allow users to opt in to the game mechanics that they find most compelling and appealing. After all, different personalities "play" in different ways, and a common mistake for businesses is to assume that a single gamification element will appeal universally to all users. That said, simply bolting on gamification-lite to an existing business is likely to flop (remember when many companies attempted to add in avatars or virtual currencies because it was the trend at the time?) Companies should first think about their key business goals and target outcomes, match appropriate game mechanics to these goals, and then weave them into the user experience as seamlessly as possible — even if this means allowing users to initially opt-out or not engage in gamification elements. Gamification needs to address all four phases of the user life-cycle: Think about leveraging game mechanics to facilitate and graduate users along each specific phase of the user experience: 1) new user onboarding (gamification is an excellent way to implement interactive tutorials); 2) user engagement; 3) conversion of free users to paid (or opt-in data sharing); 4) retention of power users. Remember that different mechanics are best suited for certain personality types and phases. Gamification and Social often go hand in hand: Just as games come in single-player and multi-player flavors, gamification can be oriented towards solo or social play. For many companies, implementing gamification may first require installing social plumbing. As an example, Mayfield portfolio company Gigya (www.gigya.com) is a SaaS social infrastructure company that provides a suite of tools (like Social Login) that enables any business to add a social layer to their Web presence. Interestingly, they have found that users who are logged-in with Social Login spent 30% more time on-site than users who sign in with native site login. Customers like Pepsi use Gigya to build custom co-viewing experience sites for Pepsi-sponsored TV shows like The X-Factor, The Grammies and the SuperBowl, allowing users to collect “caps” (badges) and gain social ranking by commenting, sharing, and liking other users’ comments. Verizon Wireless created a community site of local events called VerizonInsider, where users are rewarded with points and badges for interacting with content. Gamification design is about to emerge as a specific skill set: There's likely to be a whole new talent pool trained at places like Playdom and Zynga that will be branded as "gamification designers" – many of our portfolio companies are already actively hunting for such people! The possibilities for gamification are universal and endless: Every aspect of the human experience is a journey of sorts, meaning that there is a learning and leveling curve, a start, mid-point, and end goal…and multiple ways and strategies to reach the destination. Gamification should be thought of as helpful signposts, markers, scorecards, feedback loops and treats to guide the user along the way, show him or her different ways to "play" and provide hints as to what may be behind choice A, B, or C that they're about to make. Note to Entrepreneurs: Please avoid the "gamification as panacea" trap, tacking gamification as a "badge" onto every pitch, as VCs can see through this, just as consumers will shun bolted-on game mechanics. We will be hosting an interactive evening workshop on gamification and game mechanics on June 6 at the Mayfield Fund offices on Sandhill Road, which will cover a broad range of topics including consumer motivation, leveling curve designs, pros and cons of various gamification tools; freemium conversion tuning for microtransaction and subscriptions; and using the seven deadly sins as a design framework. We have reserved 10 spots for TechCrunch readers/entrepreneurs. To be considered, please comment and share this post to Facebook and we will pick the folks who we think will benefit the most from the discussion. 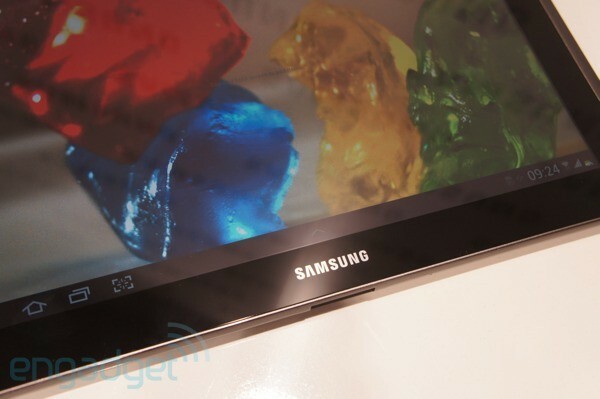 The last we heard, Samsung's Galaxy Tab 2 10.1 was in pre-order limbo at Office Depot. Now we have official word that the slate will launch at that outlet -- and also at Amazon, Best Buy, Tiger Direct and others -- on May 13th. As expected, the 16GB WiFi version will go for $400, and if you've followed our coverage, you'll know it's a solid dual-core slate that nonetheless doesn't make huge spec improvements over the original Tab 10.1 (barring that Ice Cream Sandwich OS, of course). The Galaxy Player 4.2 will also make its debut this Sunday, for an asking price of $200. Android-loving moms: rejoice. Samsung Galaxy Tab 2 10.1 and Galaxy Player 4.2 come stateside on May 13th originally appeared on Engadget on Fri, 11 May 2012 17:42:00 EDT. Please see our terms for use of feeds. We've seen plenty of shots of the Nokia 808 PureView in action, but they've all been hampered by boring old terrestrial bounds. 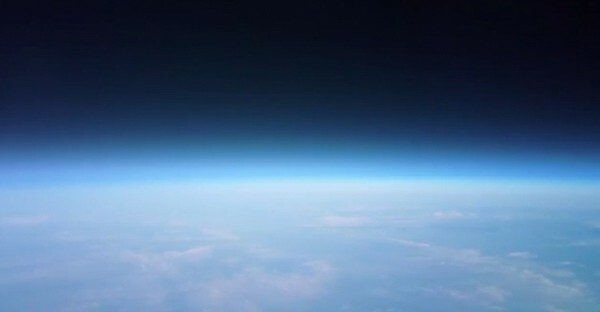 Thankfully, a team attached the handset to a giant balloon for a little more perspective. The photo is at the end of the six and half minute video after the break, but thankfully there are a lot of lovely shots of Iceland accompanying atmospheric music to keep you busy in the meantime. Nokia nabs 808 PureView space shot of this big, blue 41-megapixel marble originally appeared on Engadget on Fri, 11 May 2012 18:42:00 EDT. Please see our terms for use of feeds. With a very light 3.5-pound carbon fiber frame and a quick 2.5-hour charge-up time, the e-bike Wörthersee sounds like a wild ride that will charge quickly enough for a spin on your lunch break, but we wouldn't rush to put down a deposit. 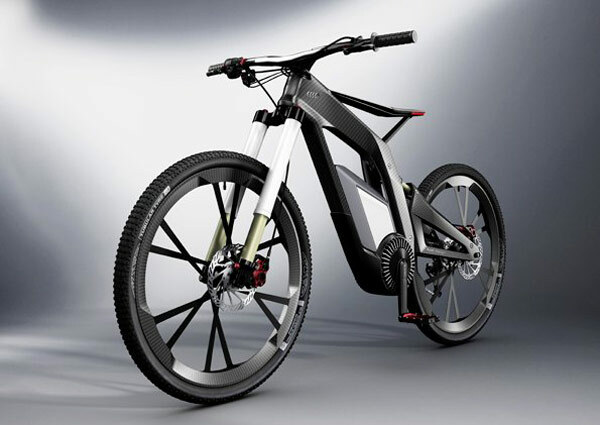 Audi is calling the prototype a "show bike," which is a sign than the design as-is won't show up at the local sports store. We'll let you know if the Wö! ;rtherse e or a more pragmatic descendant makes the leap to a dealer. Audi e-bike Wörthersee lets you pop wheelies eco-style, plays nice with your smartphone originally appeared on Engadget on Fri, 11 May 2012 19:24:00 EDT. Please see our terms for use of feeds. If you'd been by the shore of the Sumida River in central Tokyo this past weekend, you would have noticed that it was glowing a distinct shade of blue. 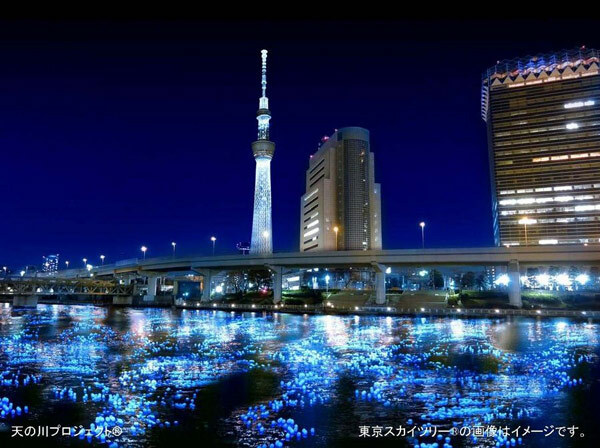 That's because Panasonic decided to kick off the first-ever Tokyo Hotaru (fireflies) festival by sending 100,000 EVERLED light bulbs down the river, both to mimic fireflies as well as to pay homage to a Japanese tradition of floating candles on the water. Before you cringe too much at the thought of the environmental impact, rest assured that Panasonic minimized the footprint of its aquatic LED parade. All the bulbs ran on solar power (presumably, charged during the day) that kept Evolta batteries fed inside, and the entire lot was scooped up in a large net afterwards. We love the exhibition as a large-scale demo of sustainable lighting -- you may just want to avoid fishing along the Sumida's shoreline for awhile in case you catch a straggler. Update: We've found a video of this spectacular event -- check it out right after the break. Panasonic sends 100,000 LEDs down T! okyo riv er, mates tech with tradition (updated with video!) 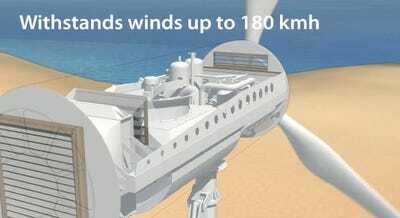 originally appeared on Engadget on Fri, 11 May 2012 20:23:00 EDT. Please see our terms for use of feeds. We're used to batteries powering a lot of devices, but the University of California, Riverside is upping that a notch by charging up a whole floor's worth. The school's Winston Chung Global Energy Center is walking the eco-friendly walk and has started using a huge bank of rare earth, lithium-ion batteries from Balqon to produce 1.1 megawatts, enough to keep Winston Chung Hall's entire first floor humming along while tapping renewable energy sources like solar and wind power. The batteries bank their energy overnight, keeping the throngs of students happy without having to recharge as much or use the regular power grid as a fallback. 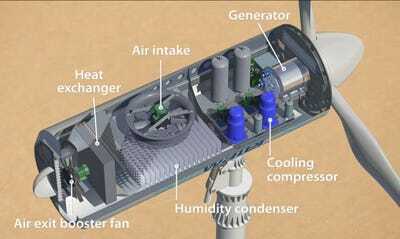 While it's considered a testbed, the university's giant battery is considered a blueprint for cellular towers and the green power sources themselves -- the combination of which could keep your smartphone up and running with a lot less of an environmental hit. 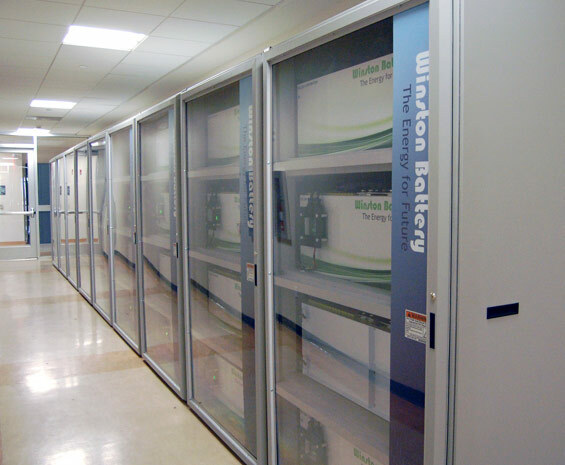 University of California, Riverside runs entire building floor off of 1.1-megawatt green battery originally appeared on Engadget on Fri, 11 May 2012 21:39:00 EDT. Please see our terms for use of feeds. We're sure Samsung isn't playing favorites... but after that rather extravagant product launch just the other week, it seems it's released another phone to market with barely a streamer nor slice of cake in sight. 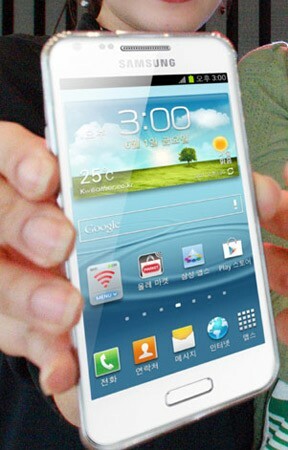 The phone in question is the SHV-E170K, and will be coming to South Korea's KT network. The handset was announced with minimal details, other than having a 4.3-inch Super AMOLED qHD (960×540) display, LTE, 5-megapixel rear camera and 1.3-megapixel shooter up front. However, with a little bit of internet cunning (i.e. some discovered benchmark tests) SammyHub has determined that we're dealing with a 1.5GHz Snapdragon S4 on top of Android 4 (TouchWiz'd by the looks of things). It should be out later this month, again, alas, potentially in its sister's shadow. Samsung's SHV-E170K has dual-core Snapdragon, LTE and an inferiority complex originally appeared on Engadget on Fri, 11 May 2012 07:36:00 EDT. Please see our terms for use of feeds. Nice processor, shame about the Pentile. It's something that several people have been saying about Samsung's new chest-beating flagship. 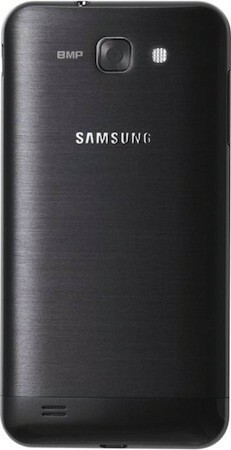 So why didn't it plump for the warmer Super AMOLED Plus found on both its predecessor and the bigger-boned Galaxy Note? According to Samsung's spokesperson, it's because those blue sub-pixels that are absent on Super AMOLED displays degrade faster than their red and green allies. With the aim of keeping its phones healthily glowing for at least 18 months, it made the decision to go with the Pentile formation. Compared to the Galaxy Nexus, which matches the resolution of the Galaxy S III, Samsung has also shrunk the gaps between pixels on its newest phone in an effort to reduce complaints leveled at its Super AMOLED technology -- although we didn't notice it all that much under our microscope. Samsung Galaxy S III: Pentile Super AMOLED used 'because it lasts longer' originally appeared on Engadget on Fri, 11 May 2012 08:59:00 EDT. Please see our terms for use of feeds. If you want to be around the epicenter of smart, young people, move to Boston. The City on a Hill has more educated people between the ages 18 and 34 years old than any other city in the U.S. based on an analysis of the latest census numbers done by The Business Journals. According to the Census Bureau, 39.2 percent of people between 18 and 34 hold a bachelor's degree in Boston. With Boston College, Boston University, Emerson, and nearby Harvard, it's easy to understand how Boston ranked on top. About 11.9 million people in the 100 cities surveyed between the ages of 18 and 34 had four-year degrees, which equates to about 24.9 percent. That number does not include the people in that age bracket still working toward earning their degrees. Washington, D.C. ranked second, with 37.2 percent of people holding bachelor's degrees. Rounding out the top five are San Francisco, San Jose, and Madison, Wi. New York ranks No. 6 with 33.12 percent of people holding bachelor's degrees. Bakersfield-Delano, Calif. ranked last among the 100 cities in the data set with only 9.09 percent of people having earned four-year degrees. Android: Ever been lost in a huge department store? The latest release of Google Maps for Android (version 6.7) adds indoor navigation (cool) and integrates Google Offers to show you nearby deals (meh). 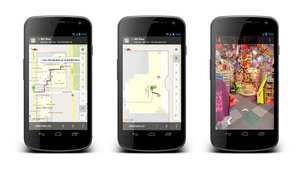 Indoor maps and walking directions of select businesses and venues are available now in the US and Japan. You can also get 360-degree panoramic photos of the inside of some businesses as well. To see Google Offers on a map, tap "Maps" then "Offers." This might be really useful when you're going out to eat or shop and you want to find a deal you can use right away. Well, it's been no secret that Samsung was hoping to cash in on this summer's Olympic fever. 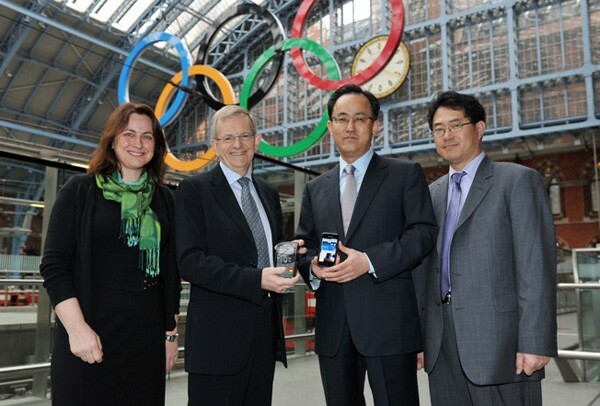 In fact, we all but knew its latest and greatest smartphone was going to be the handset-maker's Olympic Games Phone. Today, however, the union has been made official via an announcement with Visa. Trialists and Athletes sponsored by the brands will have access to a special edition "showcase device" with Visa's payWave payment application onboard. The collaboration is, of course, a drive to push the penetration of contactless payments in both the UK and the world stage. Payments under £20 won't need a passcode, and users will also be able to check their balance and purchase history from the app. It's estimated there'll be about 140,000 contactless terminals in the country by the time the Olympic tanks roll in, so plenty of places to pick up that official merch for the family back home. Samsung and Visa pull the star! ting tri gger on Olympic payment collaboration originally appeared on Engadget on Wed, 09 May 2012 08:52:00 EDT. Please see our terms for use of feeds. No sooner did the international variant of the One X reveal its source code, now the AT&T version has landed itself an unofficial root. Better still, the folks over at xda-developers have already squeezed the occasionally laborious process into a one-click install. For those not in the know, this doesn't mean an unlocked bootloader, which is still wrapped up in AT&T red tape. Root meddling types can hit up the source for the necessary files. 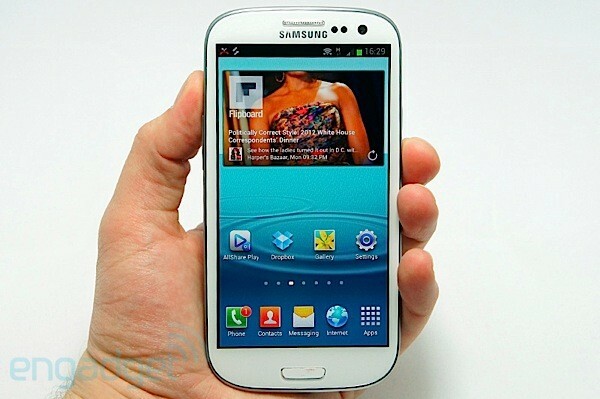 Just, be careful -- that's some pricey polycarbonate and the Galaxy S III's still some weeks away. 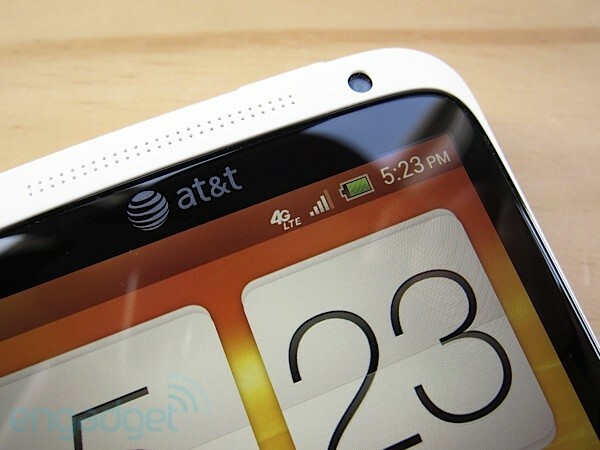 AT&T's HTC One X gets rooted, catches up with the global gang originally appeared on Engadget on Wed, 09 May 2012 12:09:00 EDT. Please see our terms for use of feeds. Remember the Samsung Skyrocket HD for AT&T? Great, now forget it. According to Sammy, the largest GSM carrier has decided to forego the mysteriously absent device, announced all the way back at January's AT&T Developer Summit, in order to focus on other products. This move adds credence to our suspicions that this particular handset wouldn't have a distinct place in the lineup alongside the carrier's version of the Galaxy S III, which hasn't been officially announced for US availability yet. We reached out to Samsung, and here's the company's official statement on the matter: "AT&T and Samsung have agreed to cancel plans to offer the Galaxy S II Skyrocket HD. We are concentrating resources on other products to bring exciting experiences to consumers." Not too much of a surprise, but those eagerly awaiting this device shouldn't get too frazzled -- if you can't wait for Samsung's newest flagship, at least we're hopeful that a few carrier-branded prototypes will leak out on eBay to whet your appetite. AT&T cancels plans to release Samsung Skyrocket HD, likely setting sights on Galaxy S III originally appeared on Engadget on Wed, 09 May 2012 15:09:00 EDT. Please see our terms for use of feeds. The Energy Report Is Brought To You By Toyota. 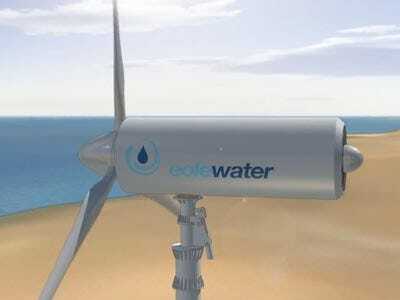 French engineering firm Eole Water has developed a wind turbine that can produce 1,000 liters of clean drinking water every day by filtering and collecting moisture out of the air. 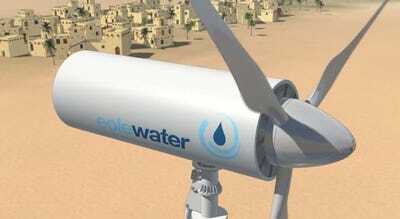 Seeing how the U.S. expects upcoming wars to revolve around water, the WMS1000 wind turbine could be a huge benefit to the 885 million people that do not have access to clean water in regions in Africa, South America, India and Indonesia. 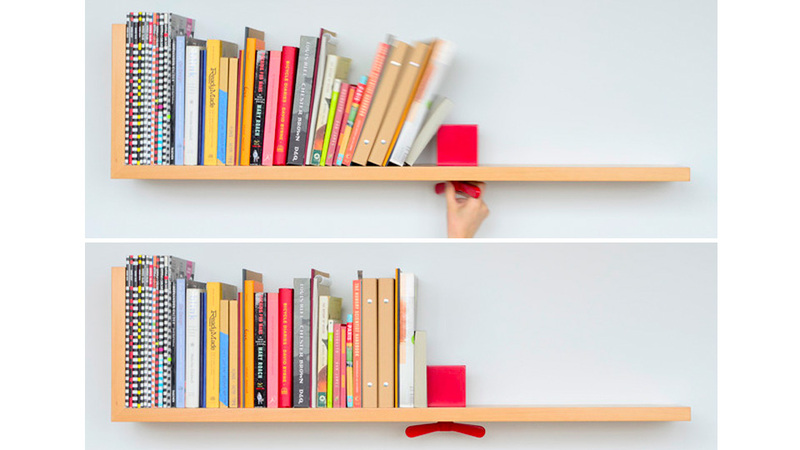 In one fell swoop designer Colleen Whiteley has put an end to the novelty bookend industry with her brilliantly clever and simple Hold On Tight Shelf. 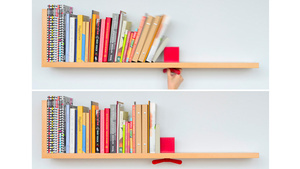 And here's to hoping that every single furniture maker adopts this idea. 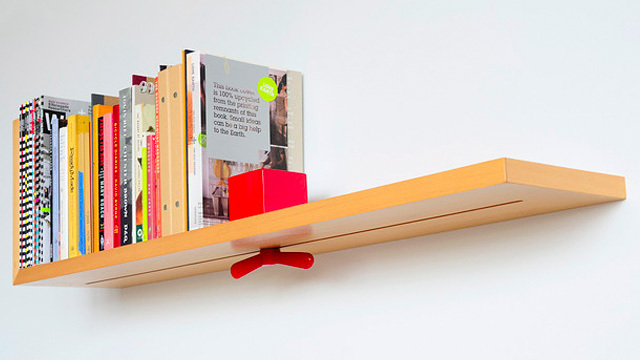 The shelf works just like a carpenter's clamp, and features a thin groove that accommodates a sliding aluminum cube and wing nut that can be tightened at any position. Even the heaviest of text books won't be able to cause a literary avalanche when the nut is cranked tight. Sadly, it's not a real product just yet. But if you head on over to Dwell and vote for it in the site's Live/Work design contest, you might better its chances at one day becoming available for sale. 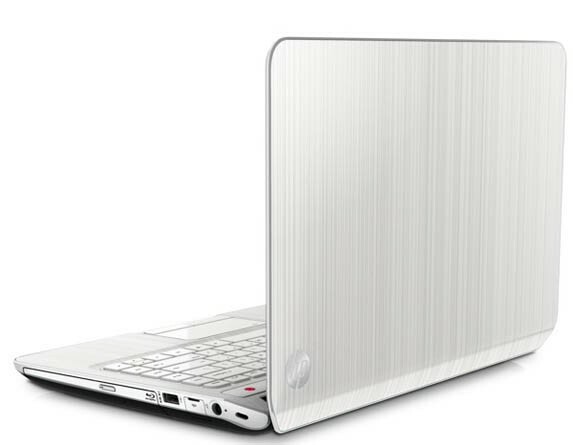 You may have noticed that HP unleashed a torrent of laptops today, but at the heart of it all, even more crucial than those Ultrabooks and business laptops, are the notebooks Hewlett-Packard plans to sell to college kids during the all-important back-to-school season. This go-round, the company's redesigned both its mainstream Pavilion dv series, as well as its entry-level "g" laptops, though the range of sizes (14 to 17 inches) is pretty predictable. In addition, the outfit also introduced the Pavilion m6, a slim 15-incher that isn't technically an Ultrabook, but nonetheless joins a growing group of thin-and-lights with unexpectedly large screens. Throughout, as you'd expect, HP's refreshed its laptops on the inside too -- namely, with newer Intel and AMD chips, along with fresher GPUs. We've got a full break-down of specs, prices, design notes and availability details after the break, though we've also got photos and the full press release below if you've got some important study session to hurry to. HP refreshes its Pavilion laptops ahead of back-to-school season, intros six new models originally appeared on Engadget on Tue, 08 May 2012 23:06:00 EDT. Please see our terms for use of feeds.